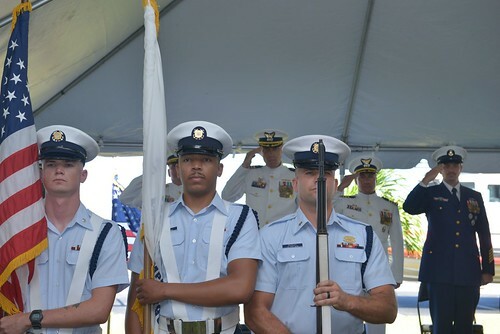 HONOLULU – Petty Officer 2nd Class Tara A. Molle was recognized as the 2017 active duty enlisted person of the year, and Petty Officer 1st Class Mark G. Camacho was recognized as the 2017 reserve enlisted person of the year for the Coast Guard 14th District during a ceremony at Joint Base Pearl Harbor-Hickam, Friday. 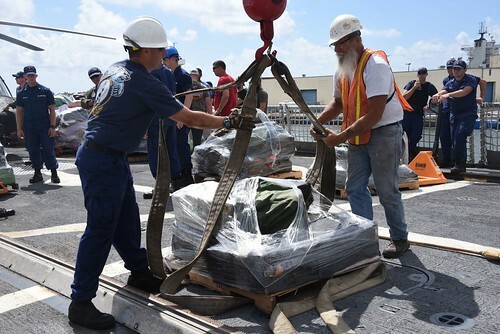 Molle, a public affairs specialist at the Coast Guard 14th District, recently provided strong coverage for the 75th Anniversary of World War II, shooting imagery at Pearl Harbor, Hawaii and Guadalcanal, Solomon Islands. While in Guadalcanal beyond her assigned duties she supplemented her Marine Corps colleagues who were shorthanded, providing multiservice imagery used nationally and internationally. 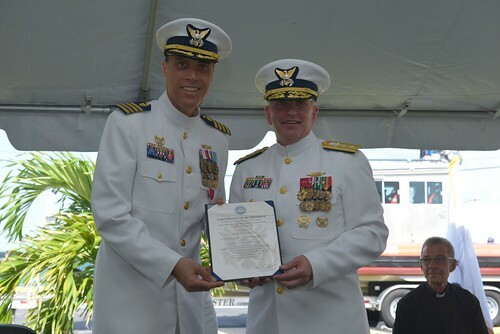 Molle consistently demonstrated dynamic leadership and authority through a series of high-level events such as the month-long period following the grounding of the Pacific Paradise off Waikiki and standing as a public information officer during Hurricane Irma in South Carolina and Florida. Most notably, she spearheaded a grassroots boating safety campaign developing an innovative public safety announcement with internationally renowned professional waterman Kai Lenny for National Safe Boating Week. 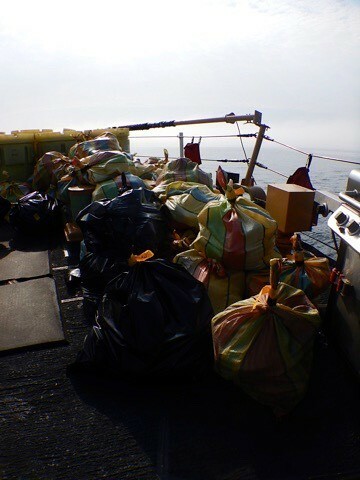 In addition to her regular Coast Guard duties, Molle consistently volunteered for District 14 community relation’s projects providing over 300 hours of on and off-duty time to support the district and various organizations throughout Oahu. 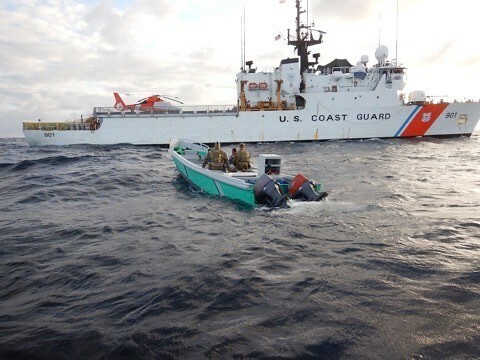 Camacho, a maritime enforcement specialist at Coast Guard Station Apra Harbor, Guam, has had a powerful impact on the station and Coast Guard Sector Guam. To assist with heavy training and workload, he volunteered to accept two separate sets of extended active duty orders. 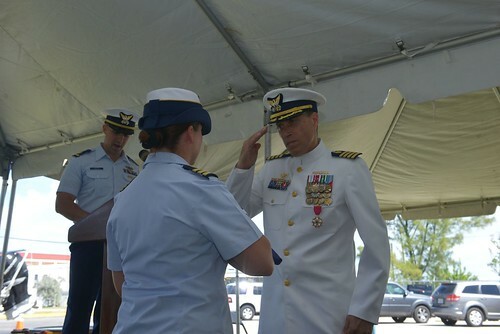 As a result, he mitigated a vacancy gap becoming a key member by serving as a boat crewmember, boarding officer, law enforcement petty officer and law enforcement instructor. As an LEI, he conducted 38 hours of law enforcement techniques, policies, and procedures, which resulted in 11 newly certified members in critical positions. 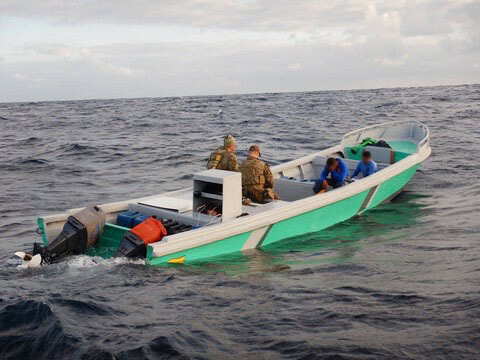 Most notably, he planned, organized, and executed a two-day joint agency law enforcement training college that included Guam Coast Guard units, Guam Police Department Marine Division, and Guam Port Police. Camacho is a dedicated member of the Civilian Volunteer Police Reserve, a facet of the Guam Police Department. He also dedicated volunteer time to assist with the Annual Kids Care Photo ID event, which provides children’s families with free identifying booklets that ensures safety and security of 234 children via a rapid identification method in the event of an Amber Alert. 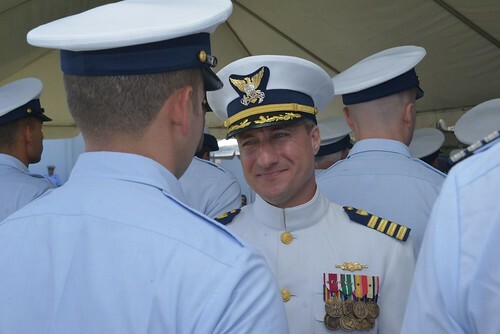 The EPOY is an annual program run and executed by the Chief Petty Officers, designed to recognize exemplary men and women of the active and reserve enlisted workforce who are top performers and reflect the Coast Guard’s core values of Honor, Respect, and Devotion to Duty.